Dermot Weld and Pat Smullen landed a big race double when Sapphire ran out an impressive winner of the Group Two QIPCO British Champions Fillies’ And Mares’ Stakes. That came after Rite Of Passage’s narrow victory in the opening Group Three British Champions Long Distance Cup. Sapphire travelled powerfully for Pat Smullen throughout the 12-furlong contest and challenged for the lead entering the final furlong before drawing clear for a two and a quarter length success over Shirocco Star and Kieren Fallon. There was a further two and three-quarter lengths back to Dancing Rain in third, who was having her first run since winning the race last year. Smullen said: “I was very confident of a big run but it’s always nice to ride a winner earlier in the day because then you can be extra confident. “They went a good pace and I just had to get her to settle but she travelled extremely well throughout the race. I was quite happy for Kieren (Fallon) to kick first and that I would come and do him late. “She is a very, very good filly on this type of ground because she can quicken in it and the temptation was to run her in the Irish St Leger but she wasn’t quite herself. The trainer has showed great patience and produced her in tip-top shape. 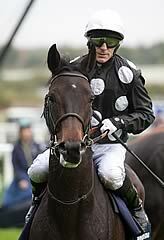 Wld said: “We were either going to run Princess Highway, who won the Ribblesdale for us, or this filly in this race. With the weather forecast, it looked like it would be dry ground in Canada and good cut in the ground here. 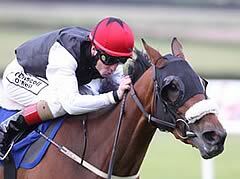 This filly always appreciates a nice ease in the ground and hence we decided to come here,” said Weld. “I think that she is unbeaten over a mile and a half. We considered running her in the Irish St Leger but I just wasn’t happy with her during the week going into the race - she was coming into season a little bit - so I decided to miss it and come here today. “I was very confident going into the race, her first race was more of a worry than today, and it was never in much doubt. “Ascot has always been a lucky track for me. I have trained a double at the Royal Meeting, where we have also had 17 Group winners, and we have been fortunate here. “I hope she will stay in training next year. She never ran at two, then was very immature at three and I see her progressing more. If she continues to progress at the rate I expect then she could be a filly for the 2013 Prix de l’Arc de Triomphe. Shirocco Star, who has filled the runner-up spot in two Classics, was again bridesmaid when coming home a two-and-a-quarter length second to Sapphire in the the Group Two QIPCO British Champions Fillies’ and Mares’ Stakes. Hughie Morrison, who trains the Medicean filly, was sanguine after the race: “Well you never know she might beat everything next year. “Maybe we will bring her back in trip to a mile and a quarter, her main races have all been over a mile and a half. I think we have got a lot to look forward to next year. She has at least proved to be the best three-year-old filly in the country today. She has beaten three Oaks winners and shown she is very very good. “Kieren (Fallon) said she went thought the ground so it wasn’t that.